If you wish to celebrate your union amidst rustic country charm then meadow wedding is the right choice. 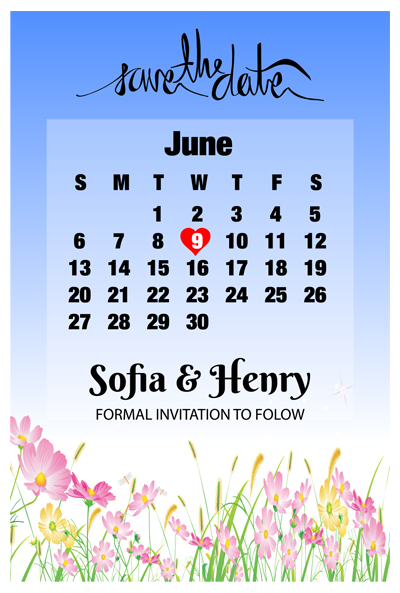 You can always prepare your friends and loved ones to join you in this union by sending away a personalized 4.5 x 3 inch meadow flower save the date round corner magnet. This magnet makes a perfect reminder token and very unique wedding memorabilia, when the event gets over. Whoever receives it as pre-invitation will definitely make it a point to retain it over visible spaces in their homes with warmth. As the time passes a customized 4.5 x 3 inch meadow flower save the date round corner magnet will always moisten their memories about the great day that they share.